can be found inside my Zoo Activity Pack! 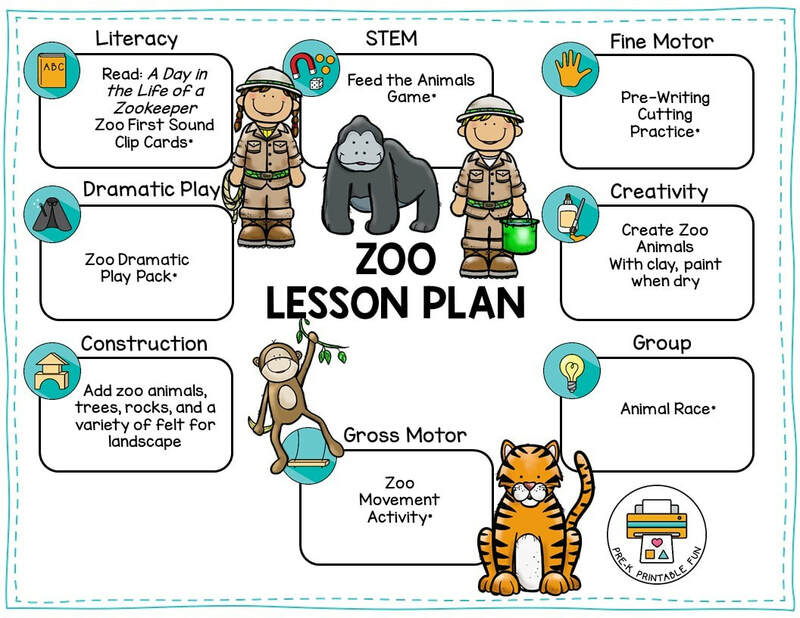 The following zoo related Printables can be purchased in my shop or downloaded in the Pre-K Printable Club Member Download area. Not a member?Join today for unlimited access to all of my printable products. 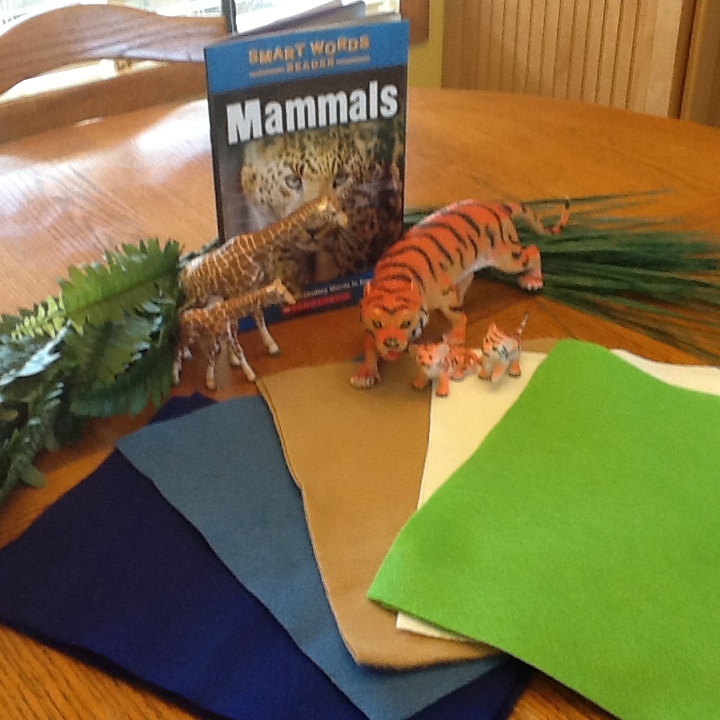 Add Animal Masks, and Costumes to your Dramatic Play Space this week. Consider creating a Zoo in your space with Animal Habitats, and Stuffed Animals. Add plenty of "Zoo Keeper" Dress up items and props. Some Ideas Include : Safari Hats, Rubber Boots, Vests, Buckets, Gloves, and Nets. The Children can practice caring for and feeding the Animals in their Zoo. Add Animal Signs to this space to encourages literacy. 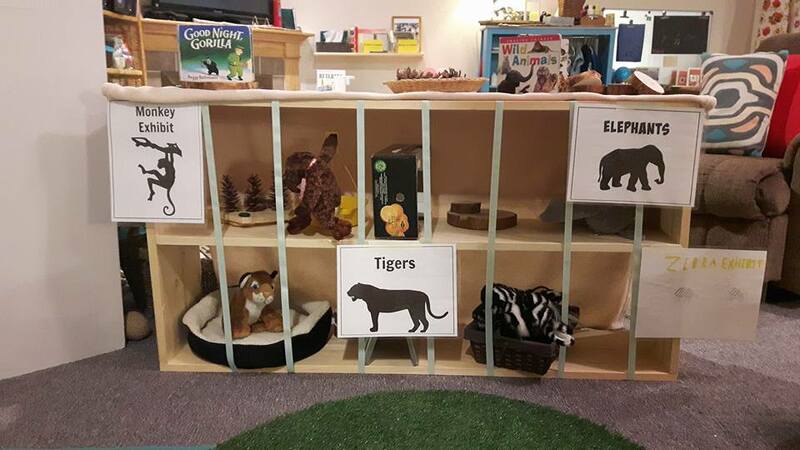 Club Member Cassandra of Mud pies and Butterflies created this adorable Zoo in her dramatic play space using the Zoo Dramatic Play pack from Daycare Spaces and Ideas. Create an invitation to build Zoo habitats in your Construction Space this week. In addition to blocks, add Zoo Animals, Different Color Felt to create landscapes, Greenery, Twigs, Popsicle Sticks, Rocks and Books about animals.